As a Church of England Voluntary Aided (CEVA) school we aim to provide our pupils, including those of other faiths and no faith, with a high quality education within the context of Christian beliefs and practices. We encourage an understanding of the meaning of faith and promote Christian values in all aspects of school life. The care and spiritual development of our pupils takes place in a safe and sharing way. Staff lead by example creating a calm, safe and guided environment for the pupils – Hillesley pupils describe the school as ‘friendly’, ‘cosy and homely’, ‘fun’, ‘happy’, ‘exciting’, ‘calm’ and ‘hopeful’ and ‘bright’. Here is an extract from a letter from a previous Bishops’s Visitor who visited the school. “I was shown round the school and learnt a great deal as I listened to my three young guides. They are very proud of the school, and were keen to show me work, displays and to explain all that is around to aid them with their learning. It is clear that there is at least one member of your staff who is very creative and has captured the interest and imagination of all the children. There were some lovely examples of work on show. They showed me the quiet area where the value of the term is displayed, the wonder wall and were able to explain the way in which the friendship bench is used. The two groups of children who met with your foundation governor and Revd Russell were just super! They were keen to share together and to engage with him in the discussion. I appreciated the way in which they gave considered and thoughtful answers to questions. They were also able to speak about prayer and the opportunities they have in school to reflect and to be quiet. The children appear very happy, confident and safe in their school environment. 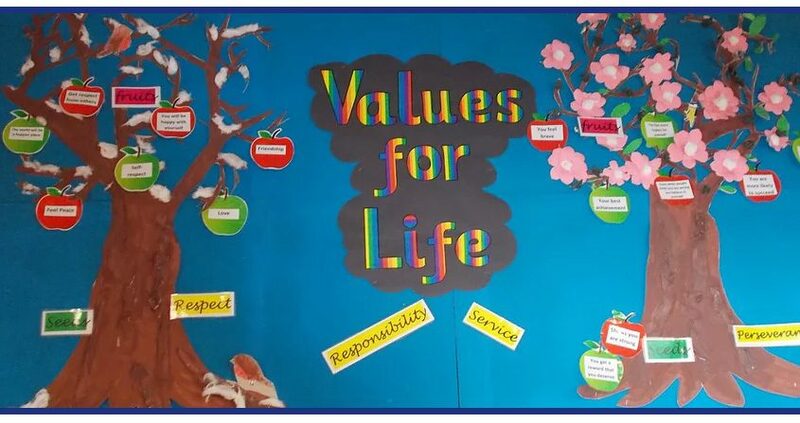 Each term, Hillesley School focuses on a Value for Life word which is drawn from our Christian values. Words are illustrated by Bible Stories and by the staff who are encouraged to be role models for the children and who use their own real-life stories to explain the practical use of each word.